Nimes have failed to win in their last 8 matches in Ligue 1. 77% of Saint-Etienne’s conceded goals were conceded away in Ligue 1. Nimes have failed to score in their last 4 matches in Ligue 1. 31% of Saint-Etienne’s conceded goals occurred after the 75th minute in Ligue 1. 73% of Troyes’s matches had under 2.5 goals in Ligue 2. Orleans have scored in each of their last 5 away matches in Ligue 2. 82% of Béziers’s matches had under 2.5 goals in Ligue 2. 73% of Chateauroux’s matches had under 2.5 goals in Ligue 2. 78% of Lorient’s conceded goals were conceded away in Ligue 2. Metz have won 82% of their matches in Ligue 2. Troyes have scored 40% of their goals in the first 15 minutes in Ligue 2. Orleans have won their last 5 matches in Ligue 2. 88% of Paris FC’s conceded goals were conceded away in Ligue 2. Paris FC have failed to score in their last 4 away matches in Ligue 2. 75% of Metz’s goals have been scored in the second half in Ligue 2. Metz have scored the opening goal in 73% of their matches in Ligue 2. Orleans did not concede any goal in their last 5 matches in Ligue 2. Béziers have conceded the opening goal in 73% of their matches in Ligue 2. Metz have scored in each of their last 6 away matches in Ligue 2. Orleans have scored in each of their last 8 matches in Ligue 2. 82% of Paris FC’s matches had under 2.5 goals in Ligue 2. Metz have scored 42% of their goals after the 75th minute in Ligue 2. Monchengladbach have scored in each of their last 8 matches in Bundesliga. Monchengladbach have scored 2 goals or more in each of their last 6 matches in Bundesliga. Monchengladbach have scored 2 goals or more in each of their last 3 away matches in Bundesliga. 77% of Magdeburg’s goals have been scored in the second half in II Bundesliga. 36% of Hamburger SV’s conceded goals occurred after the 75th minute in II Bundesliga. Darmstadt have failed to win in their last 6 matches in II Bundesliga. Magdeburg have drawn their last 4 home matches in II Bundesliga. Magdeburg have failed to win in their last 5 home matches in II Bundesliga. 80% of Greuther Fürth’s conceded goals occured in the second half in II Bundesliga. Magdeburg have scored 31% of their goals after the 75th minute in II Bundesliga. Hamburger SV have been undefeated in their last 4 away matches in II Bundesliga. Darmstadt have scored in each of their last 8 matches in II Bundesliga. 40% of Greuther Fürth’s conceded goals occurred after the 75th minute in II Bundesliga. 67% of Espanyol’s matches had under 2.5 goals in La Liga. 86% of Espanyol’s conceded goals were conceded away in La Liga. 78% of Valladolid’s matches had under 2.5 goals in La Liga. 33% of Valladolid’s conceded goals occurred in the first 15 minutes in La Liga. Espanyol have scored the opening goal in 78% of their matches in La Liga. Espanyol have scored 2 goals or more in each of their last 3 matches in La Liga. Nacional have lost their last 3 home matches in Liga NOS. Portimonense have conceded 2 goals or more in each of their last 7 matches in Liga NOS. Sporting Braga have been undefeated in their last 7 matches in Liga NOS. Nacional have conceded 2 goals or more in each of their last 3 home matches in Liga NOS. Portimonense conceded at least 1 goal in each of their last 7 matches in Liga NOS. Sporting Braga have scored in each of their last 7 matches in Liga NOS. 69% of SonderjyskE’s points have been earned at home in Superligaen. Odense BK have scored in 71% of their away matches in Superligaen. Aston Villa have scored in each of their last 14 matches in Championship. QPR have scored 64% of their goals in the first half in Championship. Aston Villa conceded at least 1 goal in 100% of their away matches in Championship. 32% of QPR’s conceded goals occurred after the 75th minute in Championship. Aston Villa have scored in 100% of their away matches in Championship. Aston Villa have scored in each of their last 7 away matches in Championship. Trelleborgs have failed to win in their last 16 matches in Allsvenskan. IFK Goteborg have conceded 2 goals or more in each of their last 3 home matches in Allsvenskan. GIF Sundsvall have scored 40% of their goals after the 75th minute in Allsvenskan. Trelleborgs conceded at least 1 goal in each of their last 18 matches in Allsvenskan. Elfsborg have scored 62% of their goals away in Allsvenskan. Trelleborgs conceded at least 1 goal in 92% of their home matches in Allsvenskan. Trelleborgs have conceded the opening goal in 77% of their matches in Allsvenskan. Trelleborgs have lost 69% of their matches in Allsvenskan. IFK Goteborg conceded at least 1 goal in 77% of their home matches in Allsvenskan. Trelleborgs have lost 77% of their home matches in Allsvenskan. Trelleborgs have lost their last 3 home matches in Allsvenskan. Trelleborgs have failed to win in their last 7 home matches in Allsvenskan. IFK Goteborg conceded at least 1 goal in each of their last 5 home matches in Allsvenskan. Trelleborgs conceded at least 1 goal in each of their last 8 home matches in Allsvenskan. 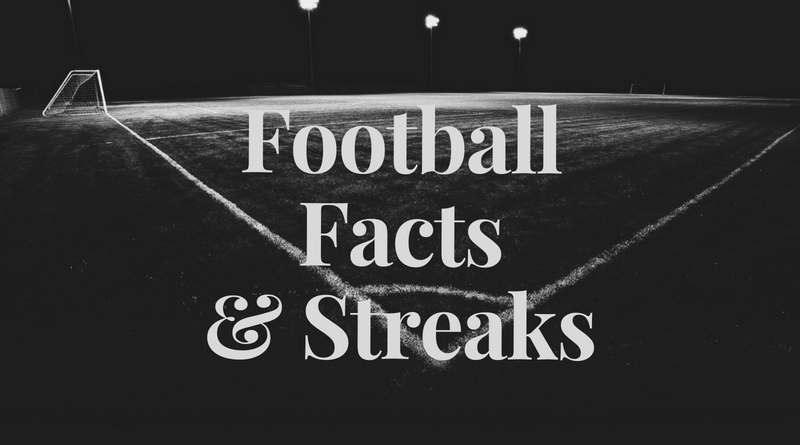 Trelleborgs have conceded 2 goals or more in each of their last 3 matches in Allsvenskan.